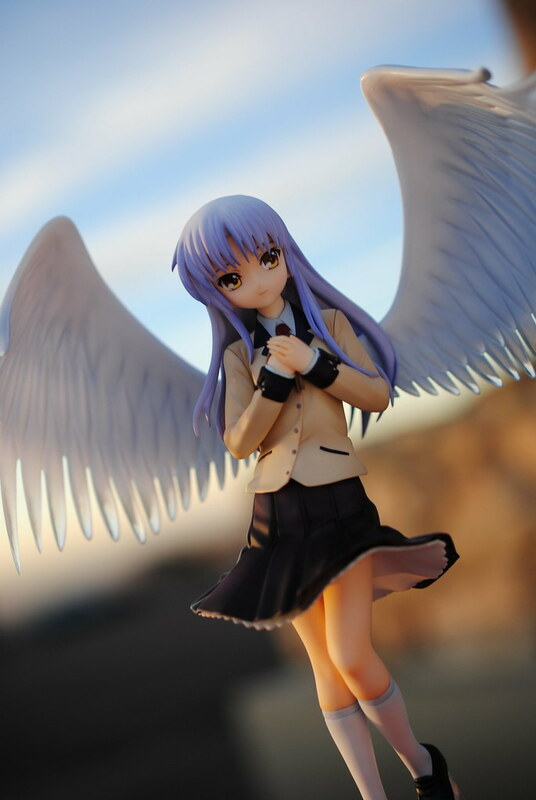 Alright, who is up for some scaled figure pictures? 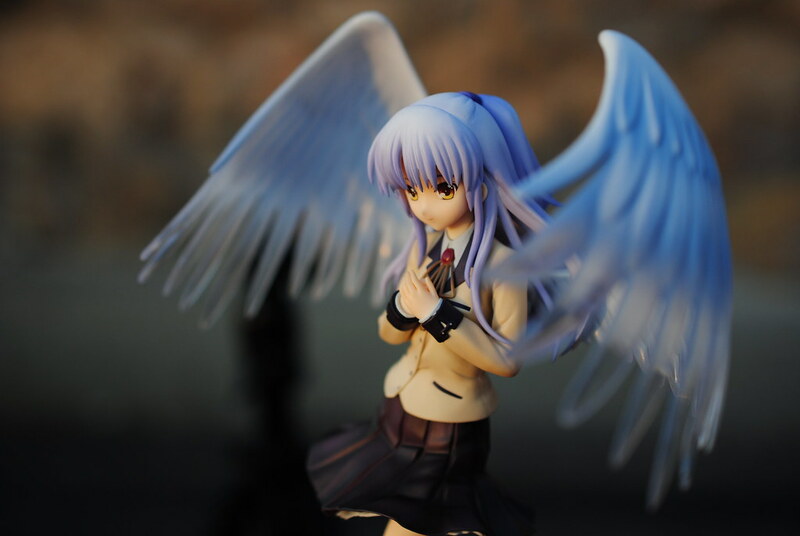 Let's take a look at GSC's Tenshi shall we. 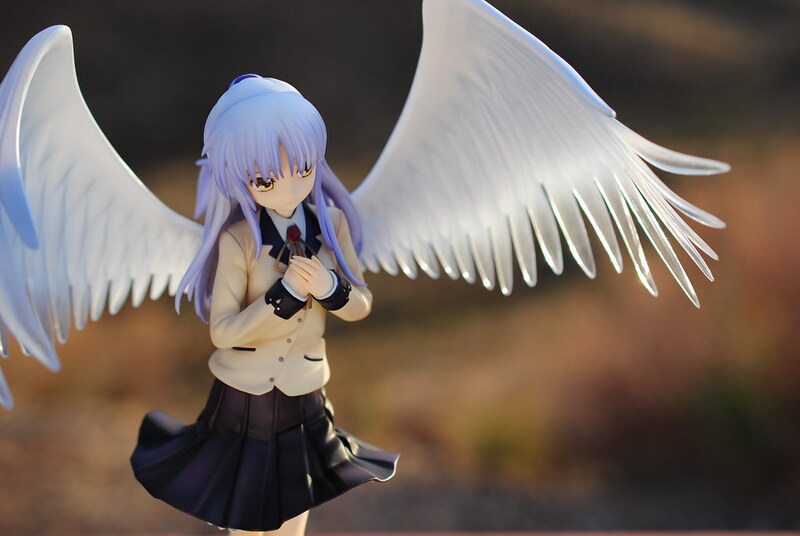 This year I haven't been very good with doing photo shoots of scaled figures even though I gotten more scaled figures than ever before. I must say last year was more prolific in that regard if you look at past scaled photo shoots. I essentially did one a month mostly because I didn't own or planed to buy that many scaled figures. If you look at this year's track record I ended up doing 3, really far apart from each too. Plus, I was some in sort of slump and ended up forcing myself, which in my opinion made them end up pretty meh. 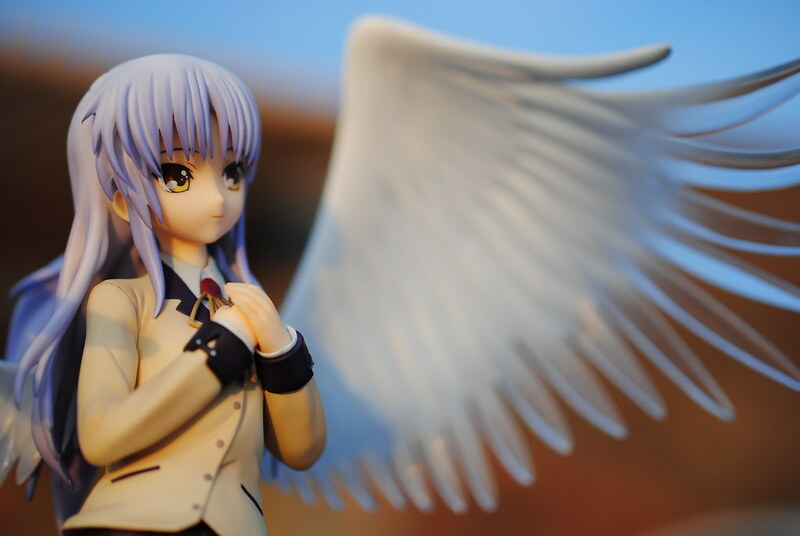 I have to thank exilehero acquiring a DSLR and joining as a co-author, having someone also take figure pictures is quite motivational for me. So, what better way to amend that issue? Well, go out and take pictures. 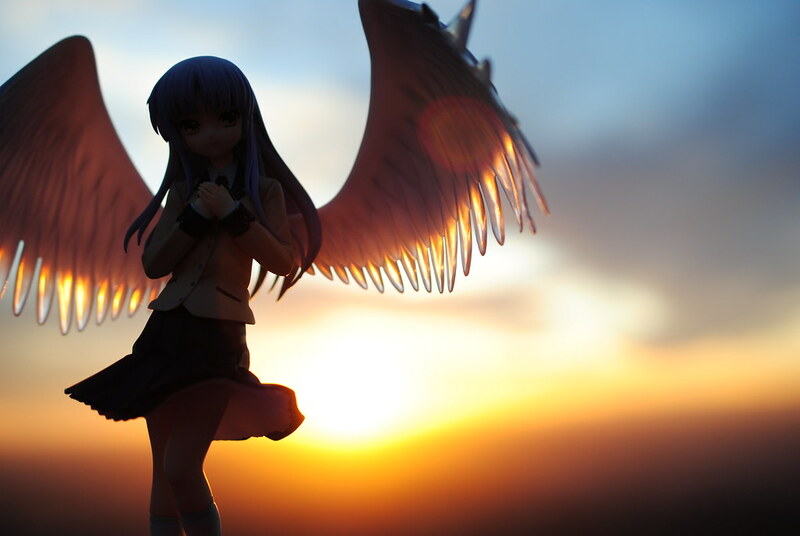 I've been wanting to do more photo shoots outside and Tenshi was perfect for it as I had this idea for a photo for ages. 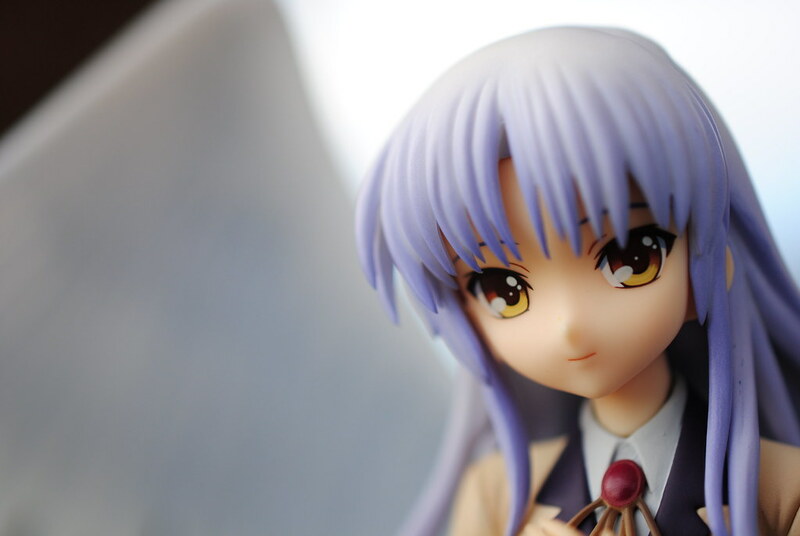 Plus combined with that I recently bought a new lens, a Macro lens that allows me take pictures I couldn't before. I must say, unlike the standard 18-55mm lens this one takes more conscious effort on my part to take the pictures I want. In case you are wondering I got, a Nikon 40mm f/2.8G AF-S DX Micro NIKKOR Lens for my Nikon D3000. Nothing too fancy, but quite affordable and it does allow me to take closer pictures than I could before. 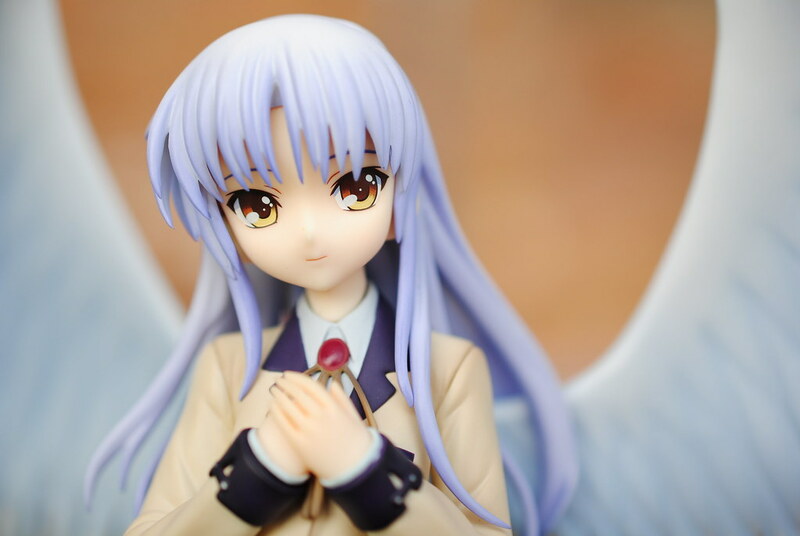 Thanks to this new lens, I can take pictures that take a closer look at the details of figures in general, I can get closer and fill up the frame with figures in way I couldn't before. 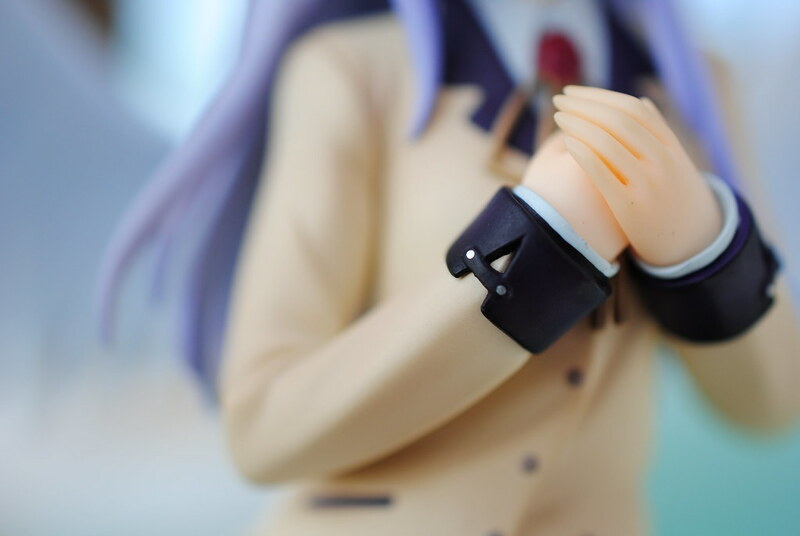 Although, I must say, the depth of field I get with this lens is pretty shallow most of the time. Should really get around to learning how to use this lens properly and all that silly technical photography stuff. 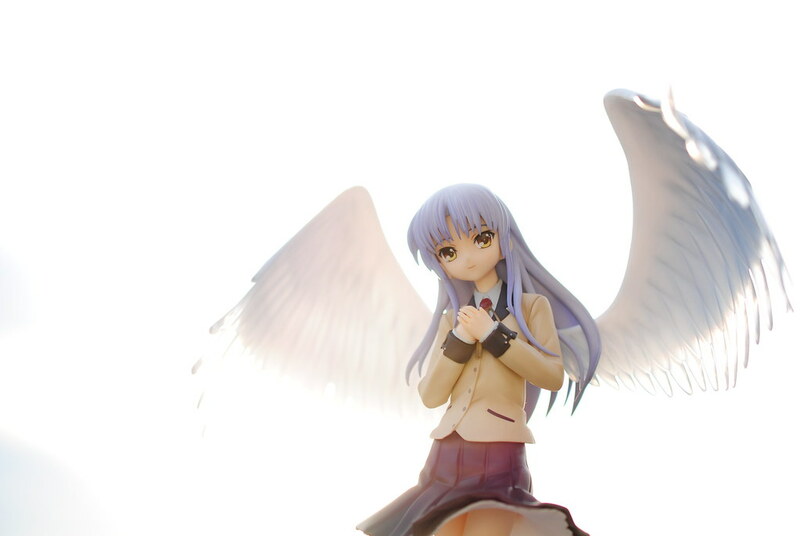 About the figure itself, we get Tachibana Kanade aka Tenshi from Angel Beats. 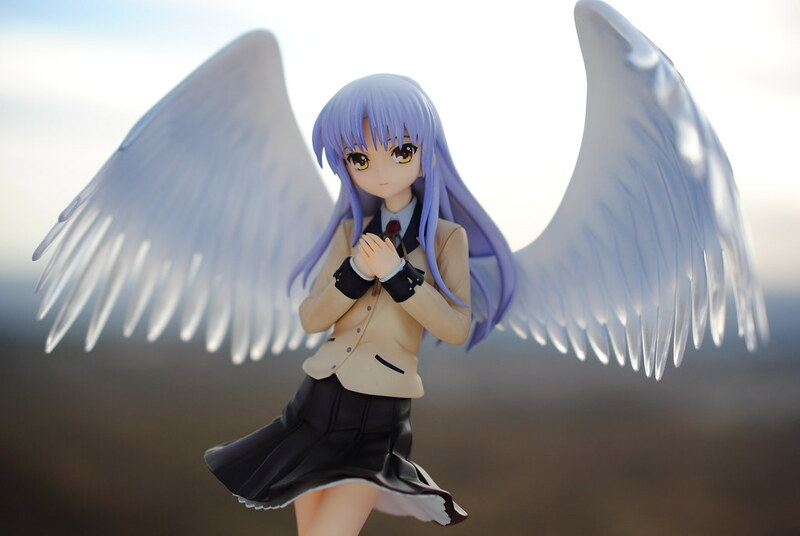 Tenshi along with Yuri were the first figures to be produced based on 3D digital models instead of the traditional approach. You can have a nice read about using such method by reading a recent article on Mikatan's blog regarding Millhi from Dog Day's that uses the same method. 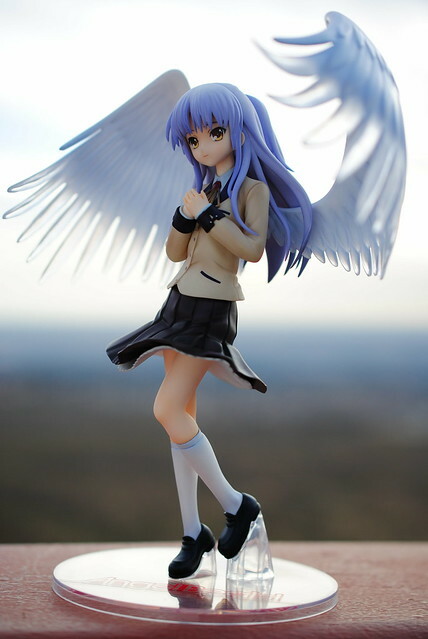 I don't remember many people talking about this figure. Was it not popular or was I just not looking in the right place? I only remember Fabrice talking about it from the top of my head. The figure itself is what we all expect from GSC, no major problems with painting, sculpting or quality. 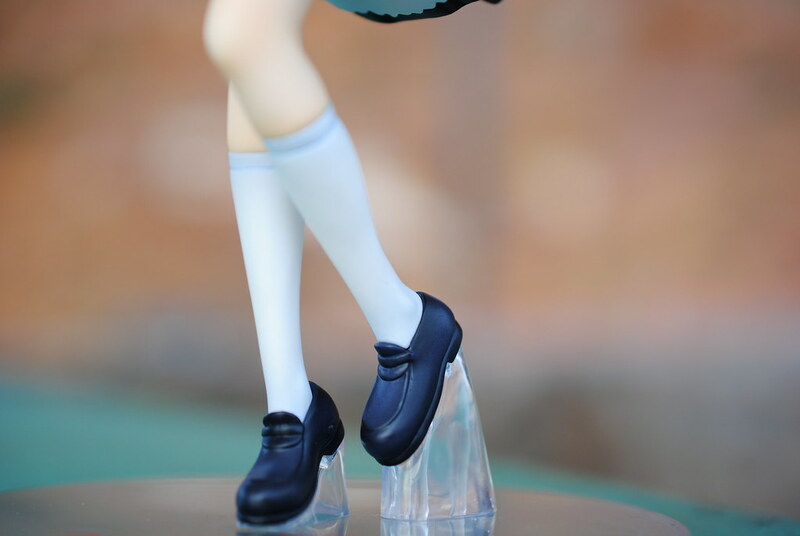 There is one big problem I have with the figure though, I did hear some people talk about it on MFC as well. 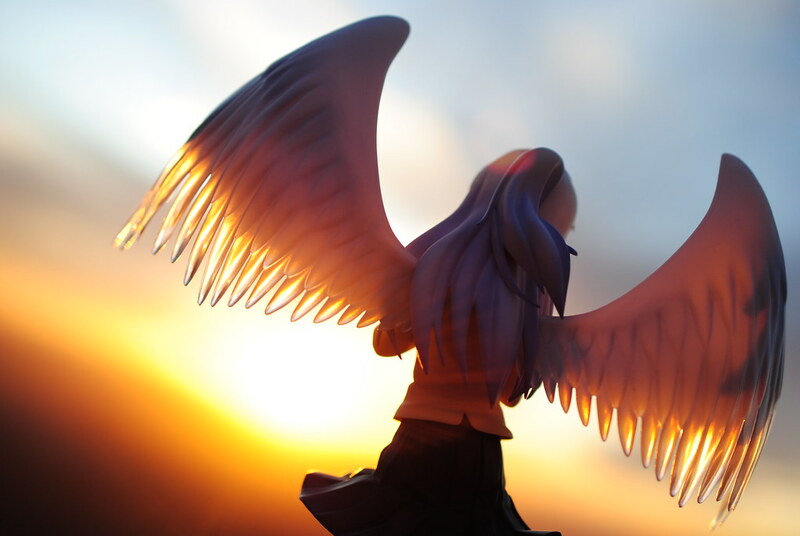 That would have to be the wings, there is something wrong with the pegs if you ask me. 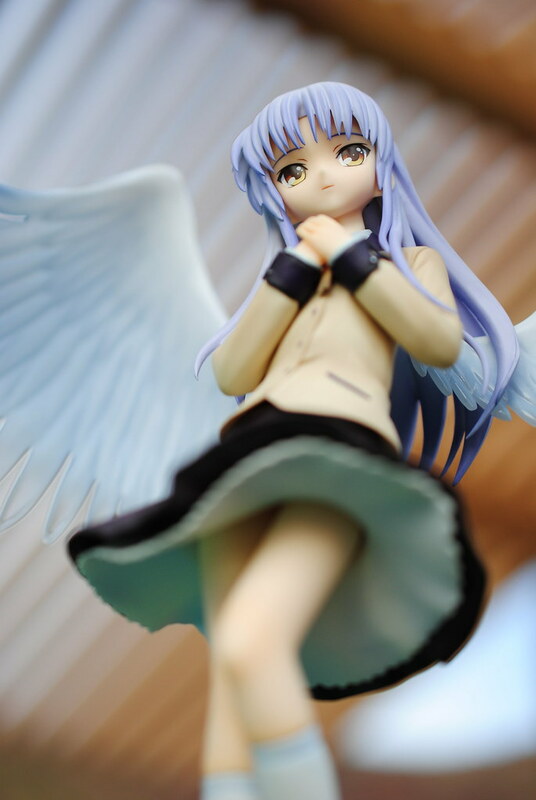 They don't quite fit into the appropriate holes in Tenshi's back. Because of that they are quite flimsy and can easily fall off, as both me and exilehero discovered. 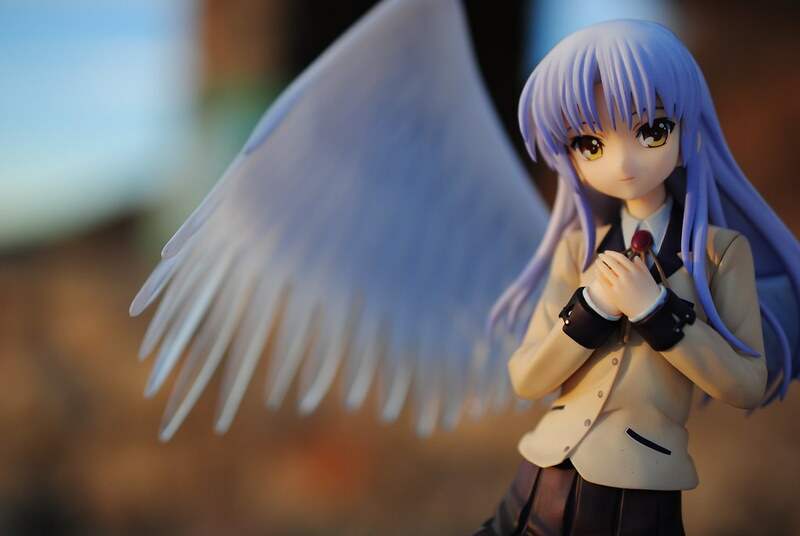 Apart from that I'm quite happy to own my favorite Angel Beats girl in figure form. 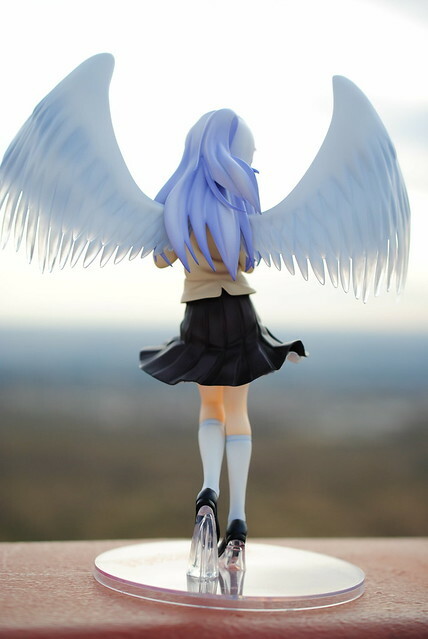 I do wish her wingspan covered less area, got some really big space problems for my hobbies lately. I mentioned earlier how I wanted to do more outdoor shoots right? One of the reasons is because the sun allows me to try out stuff I simply can't do in my inside environment. As such I tried a bunch of stuff, playing with all the usual settings but also with the way I block or reflected the sunlight. Plus as time went on and the sun started to sink lower into the sky it led to some rather interesting effects in my opinion. Taking pictures outside is quite fun, should do it more often. I don't think I had this much fun doing a scaled shoot since I did that Biri Biri one outside about a year ago. 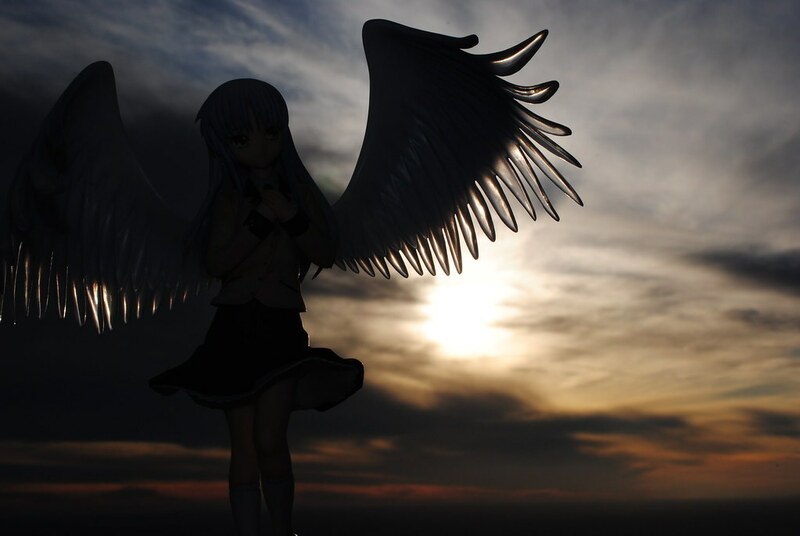 I also mentioned how there was this one idea I had in mind for Tenshi, it was this picture. I quite enjoyed myself taking these photos as you can probably tell by the lengthy post showing so many of them. They are not even close to being the full list, you can take a look in flickr for the almost hundred photos I took.